Police said the vehicle's owner and a neighbor saved the 2-year-old as the car sank. WINDHAM (NEWS CENTER Maine) — A 2-year-old secured in their car seat was rescued from a vehicle that had rolled into a pond in Windham, police said Friday. Windham Police Det. Sgt. 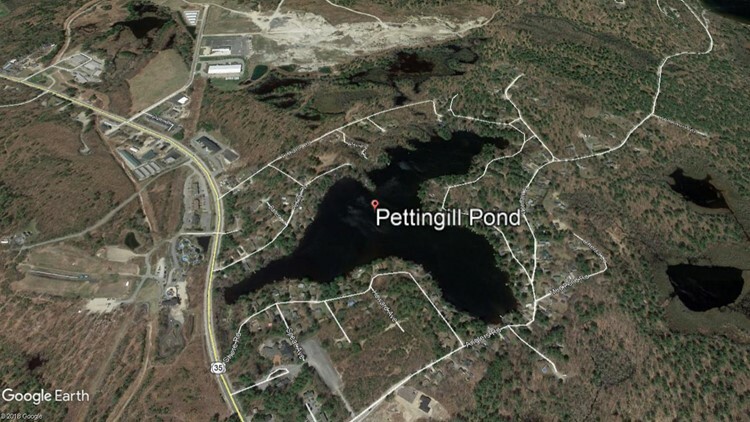 Jason Andrews said police and fire personnel responded around 4:20 p.m. Thursday to reports of a submerged car in Pettingil Pond in the area of Shore Road. An investigation revealed that a Subaru Outback owned by Edward Hallett of Windham had rolled over an embankment and entered the water. Sgt. Andrews said the car was parked on private property with the engine running and the parking brake set, and Hallett was outside the vehicle when it began rolling. A two-year child was in the vehicle when this happened, secured in the back seat in a safety seat, Andrews said. Hallett and a neighbor immediately followed the vehicle as it entered the water and the child was rescued as it sank, uninjured. Police said its investigation into the incident concluded that it was accidental and no criminal charges were anticipated at the time of the release. Andrews said the vehicle was removed from the pond Friday after consultation between Windham police, fire and Maine's Dept. of Environmental Protection.